CollectPlus, the UK’s largest independent store-based delivery and returns service, has reached its 75 millionth parcel milestone. The parcel was an Amazon Return, handed in to BP Connect in Stanmore at 12:26pm on 8 September 2016. The store joined the CollectPlus network in October 2011 and has an impressive customer satisfaction rating of 4.7 out of 5. CollectPlus scores 9.2/10 on TrustPilot, with 82.8% of customers giving CollectPlus 5/5 stars (as of 26.09.16). CollectPlus is the UK’s largest independent store-based parcel delivery and returns service. It offers a simple and convenient way for people to collect online purchases from or return unwanted items to more than 300 high street and online retailers, including John Lewis, New Look and ASOS – all at their local convenience store. 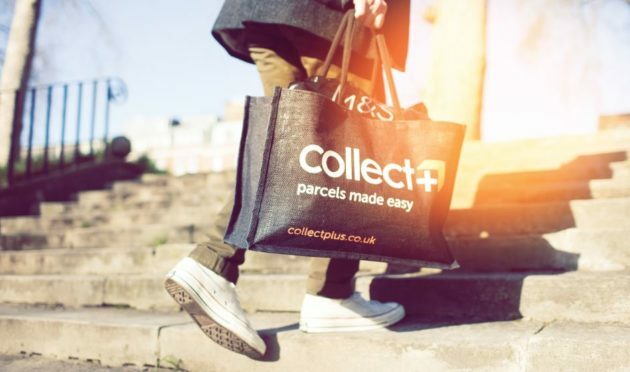 Founded in 2009, CollectPlus was the first business to offer third party click and collect in the UK and now has a network of over 5,800 conveniently located parcel stores across the UK, nearly all of which are open early ‘til late seven days a week. 90% of the UK’s urban population live within a mile of a CollectPlus point and 89% within five miles in rural areas. CollectPlus now handles in excess of 300,000 parcels a week and in July 2015 handled its 50 millionth parcel. CollectPlus is a joint venture between PayPoint, the leading retail payment network, and independent parcel carrier, Yodel. We support market leading national networks across 39,000 convenience stores in the UK and Romania so that our customers are always close to a PayPoint store. In thousands of locations, as well as at home or on the move, people use us better to control their household finances, essential payments and in-store services. Our UK network contains more branches than all banks, supermarkets and Post Offices together, putting us at the heart of communities for over 10 million regular weekly customers. We have a proven track record of decades of tech-led innovation, providing retailers with tools that attract customers into their shops. Our industry-leading payments systems give first class service to the customers of over 1,500 clients – utility companies, retailers, transport firms and mobile phone providers, government and more. We are on and offline; providing for payments by cash, card including contactless; retail, phone and digital; at home, work and whilst out and about from Land’s End to the highlands and islands – helping to keep modern life moving. We offer clients streamlined consumer payment processing and transaction routing in one, seamlessly integrated solution, through MultiPay. This gives customers the flexibility to pay in the way that best suits them; including mobile app, online, text, phone/IVR and cash in-store. In the UK, our network includes over 29,000 local shops including Co-op, Spar, Sainsbury’s Local, Tesco Express and thousands of independent outlets. These outlets are quick and convenient places to make energy meter prepayments, bill payments, benefit payments, mobile phone top-ups, transport tickets, TV licences, cash withdrawals and more. Our Romanian network continues to grow profitably. We have more than 10,200 local shops, helping people to make cash bill payments, money transfers, road tax payments and mobile phone top-ups. Our clients include all the major utilities and telcos and many other consumer service companies. The UK network also includes over 4,200 LINK branded ATMs, and 10,000 of our terminals enable retailers to accept debit, credit and contactless payments, including Apple Pay. We operate over 3,000 Western Union agencies in the UK and Romania for international and domestic money transfers. UK independent parcel carrier Yodel handles over 155 million parcels every year and has a relationship with 85 per cent of the UK’s top retailers. The company is headquartered in Hatfield and has over 60 locations across the UK, including three central sorts and over 50 service centres. Yodel offers a range of services to meet the needs of its clients and their customers. Through its sister company, Arrow XL, Yodel can also offer a two man service for white goods and large items up to 120kg.